This tart is easy and tasty and I’m excited to share the recipe below, but first I’m going to recap some interesting going-ons that have been happening here in New York! Last weekend was pretty eventful—I attended the Hudson Valley Wine & Food Fest, and I also had a real-time, in-person viewing of one of the most controversial happenings in sports, ever: The US Open Women’s Final. 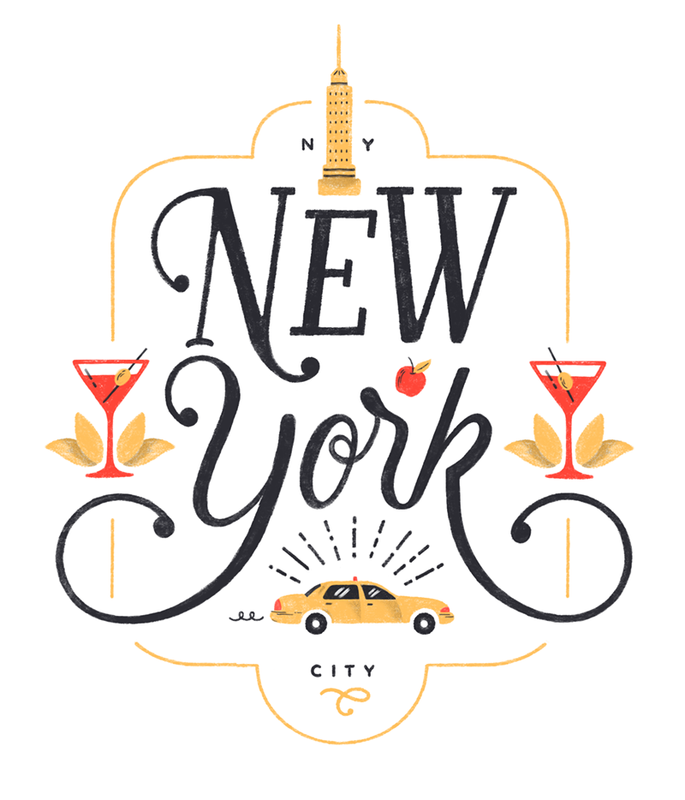 But first, I’m going to recape the Hudson Valley Wine & Food Fest! I had the honor of attending as a guest of Filippo Berio, your favorite olive oil brand that is now tackling the ready made pesto market. It was a balmy Fall morning with temperatures in the low 50s! I had a great time meeting with the brand reps and mingling with the festival attendees. I also took an awesome quiz to discover my “pesto-nality.” I wasn’t even surprised when i got “classic”—I can be pretty traditional! As much fun as the festival was, it was just hours after that shocking US Open Women’s final where Naomi Osaka defeated Serena Williams in straight sets. Being able to attend the US Open is one of my favorite perks of living in New York City. I had an inkling that Serena would make it to the finals, so I purchased my tickets about a week before the big event. I was so excited that both she AND Naomi Osaka made it to the finals. (I had been a fan of Naomi since the beginning of the tournament.) I thought this would be a win-win for me as a spectator! But, as the match went on, strange things started happening. Unlike most sporting events, there’s no announcer speaking clearly; nor is there any way to see what’s happening on a scoreboard. All I could see was Serena talking to the umpire. I texted my dad, who I knew was watching from home, to see what was going on. And that’s how I learned about the debacle that was unfolding… via text message from my dad who was 2,000 miles away… even though I was just feet away. In fact, no one in the stadium knew what was happening. They never even showed close up video of anyone’s face, or the now-infamous racquet smashing. We were all clueless! Needless to say, the event was pretty upsetting for all involved, including us spectators. I was happy to wine & food fest my cares away the net day. And now for this tart of puff pastry covered with Filippo Berio Sun Dried Tomato Pesto, fresh goat cheese and fresh asparagus! This tart is super easy to make, and full of flavor. During the Hudson Valley Wine & Food Fest, I had a chance to taste the various Filippo Berio flavors - from Tomato Ricotta Pesto, to Classic and even Olive Pesto. The sun dried tomato pesto is perfect for this tart because the flavor packs a punch. And it pairs perfectly with the fresh goat cheese and asparagus. I have been known to make own puff pastry a time or two before (like here), but these days, I appreciate a good shortcut! Remove the tart from the refrigerator and bake for about 20 minutes. The crust should be golden, and the asparagus should be cooked through. The aroma of basil, sun dried tomatoes and asparagus will waft through your kitchen! Preheat the oven to 400F. Sprinkle flour on the work surface. Place a sheet of thawed puff pastry on the work surface (you can also place the puff pastry on parchment paper). Prick the pastry all over with a fork. Cover the pastry with the pesto in an even, thin layer. Sprinkle the goat cheese on top in an even layer. Lastly, toss the trimmed asparagus with olive oil, and line the apsaragus on top of the goat cheese. Bake in a preheated oven for about 20 minutes, until the puff pastry is golden and the asparagus is cooked through. Remove from the oven and place on a wire rack. Sprinkle with salt and pepper. Serve warm. I discovered a pesto that's more of a pesto, spicy tomato sauce hybrid--Filippo Berio's Hot Chili Pesto. I love making pesto from scratch, but Filippo Berio's pre-made pesto is a pretty great shortcut for a quick, tasty meal. I love how versatile this sauce is, and how robust the tomato and hot chili flavors are. You can use this sauce over pasta, but I had some fresh yellow squash and zucchini so I made zoodles. Zoodles are simply spiralized zucchini that make for a great pasta-like veggie. They've become so popular that they are sold at most grocery stores. I simply sauteed the fresh zoodles in a little but of olive oil before topping them with Filippo Berio's hot chili pesto. To make this a complete meal, add you favorite protein-- chunks of baked chicken or even sauteed tofu would work great. Otherwise, it's a great side dish. Top with pine nuts, shaved parmesan and fresh basil to really spruce it up and add a punch of flavor. Lightly sautee the zoodles before adding the hot chili pesto. Sautee the zoodles in a large skilled in the olive oil over medium heat until they just begin to soften, about three minutes. Alternatively, the zoodles can be lightly steamed. With the zoodles still in the skillet, add the jar of Filippo Berio Hot Chili Pesto. Stir until the zoodles are evenly coated in the sauce. Remove the skillet from the heat. If adding chicken or tofu, add it to the skillet and stir. Serve immediately. This dish can be garnished with toasted pine nuts, parmesan cheese, and fresh or dried basil. When life gives you lemons... make lemon curd. And put it on everrrrything! I'm finally sharing my lemon curd recipe! 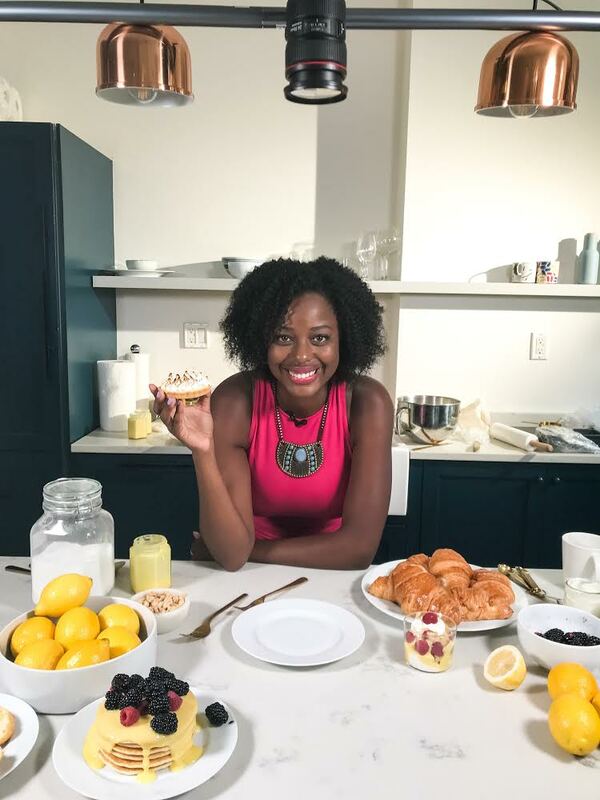 I first referenced "making lemon curd from lemons" when the Great American Baking Show was pulled off the air back in December (I wrote about how I felt about winning an un-aired baking competition show here). What I didn't mention was how much I love lemon curd because of it's tart-sweet duality and versatility. In fact, one of the winning dishes from the finale (that you never got to see!) prominently featured this lemon curd. It made Paul Hollywood jump for joy-- it was his most theatrically joyous reaction and it caught me so off guard I was a little spooked! Making lemon curd from lemons has become my mantra over the past few months. It's a reminder to me that you can make something delectable out of the most tart of situations. One of my personal philosophies is that we have to make the best out of our current situation. You use what you've got. Making lemon curd is a metaphor for life. It only has 3 ingredients: lemons, eggs and sugar. And these ingredients transform from from liquid to silky, thick and luxurious with time and constant work. While the liquid is heating up over a pot of simmering water, and is being constantly whisked, it may seem like nothing is happening. But keep whisking! If you stop whisking, you'll end up with sugary, lemon-y scrambled eggs. If the heat is too high, it will cook too fast-- more scrambled eggs! But if you constantly whisk over low heat, eventually, it will transform into lemon curd. I'm currently in a state of "whisk and wait." 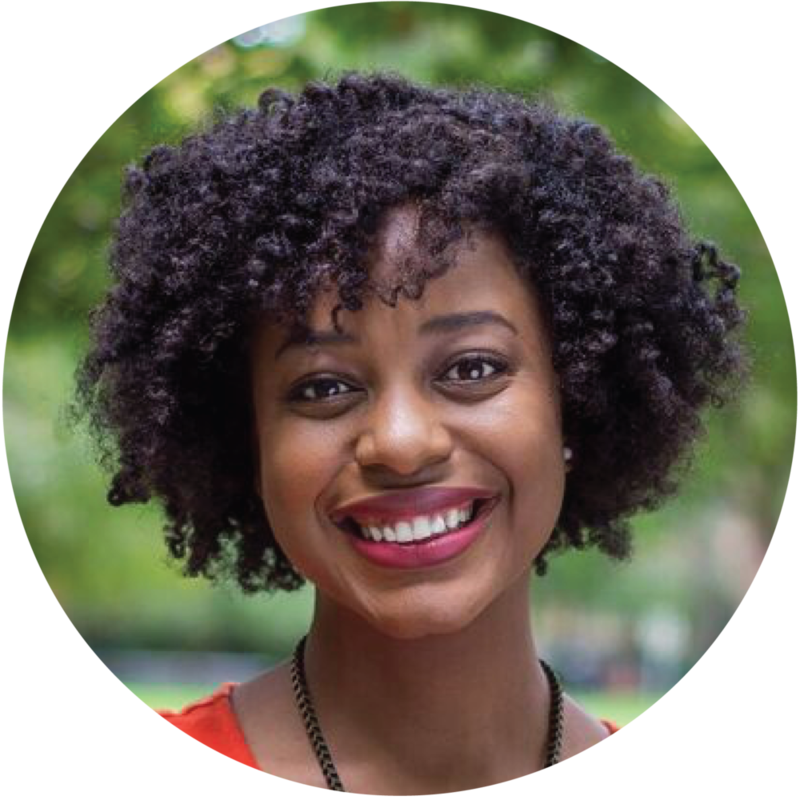 I'm whisking (putting in work), while waiting (and having faith in!) a transformation. I recorded an awesome video with Buzzfeed that shows the process of me making lemon curd. Here's the recipe! In a medium glass heat-proof bowl, combine the lemon zest and granulated sugar. Add the eggs and whisk until combined. Add lemon juice and whisk until combined. Set the bowl over a pot of simmering water. Whisk constantly until the temperature reaches 170F and the mixture transforms from liquid to thick lemon curd. Once the mixture has thickened, remove the bowl from the heat and pour the mixture through a strainer into a large bowl to strain out any bits. Once the mixture has cooled slightly, stir in the butter a few pieces at a time until all of the butter is fully incorporated. Use an immersion blender and blend to ensure that the everything is fully incorporated. Cover with cling wrap (touching the curd) and refrigerate until ready to use. These baked zucchini fries are fun and easy to make, and taste great. They are the perfect accompaniment to pretty much any meal, and baking them (instead of frying!) makes them healthy-ish. I made these last weekend at an event for National Honey Bee Day, and they were so fun to make that I wanted to share the recipe! Simply cut the zucchini in half, then cut each half again. Next, cut each of the 4 pieces into 4 pieces. Each zucchini should yield 16 zucchini stalks. Next, lay them out on a baking sheet and generously sprinkle them with salt. This will cause the zucchini to "sweat"--they will release water. Let them stand for about 20 minutes. Let the zucchini "sweat" before dredging. Use a paper towel to absorb the water the zucchini release. Bake until crispy and golden! Meanwhile, preheat the oven to 425 F and prepare your dredging station. You will need three bowls for each of the ingredients: flour, eggs and seasoned bread crumbs. Add the flour into the first bowl, crack the two eggs and whip them into the second bowl, and the bread crumbs, salt, pepper and paprika into the third bowl. Once the zucchini have rested and are "sweating," use a paper towel to absorb the water they have released. Then, dip each stalk into the flour, then the whipped eggs, and then the seasoned bread crumbs. Place them in a single layer on a parchment-paper lined baking sheet. Once they have all been dredged and coated, bake in the oven at 425F for about 20 minutes-- until crisp and golden. Remove from the oven and add more salt and pepper, if needed. Serve immediately. Cut each zucchini in half. Cut each half in half lengthwise. Cut each piece into 4 more pieces. Each zucchini will yield 16 zucchini stalks or "Fries." Line the stalks in a single layer on a baking sheet and generously sprinkle with salt. Allow the stalks to absorb the salt and "sweat" for about 20 minutes. Meanwhile, preheat the oven to 425F. Prepare a baking sheet by lining it with parchment paper. Prepare your dredging station by placing the flour in a shallow bowl; the two eggs in a separate shallow bowl, beaten; and the panko breadcrumbs, paprika and salt and pepper into a third shallow bowl. Use a paper towel to absorb any water the zucchini release. Place each zucchini stalk in the flour. Lightly dust shake off any excess four. Next, dip the zucchini stalk into the egg, and lastly, coat the stalk with the seasoned breadcrumbs. Place in a single layer on the lined baking sheet. Place in the oven and cook until crispy and golden, about 20 minutes. Remove from the oven and season with salt and pepper. Serve immediately. *Event hosted by Bayer's "Feed A Bee" campaign. 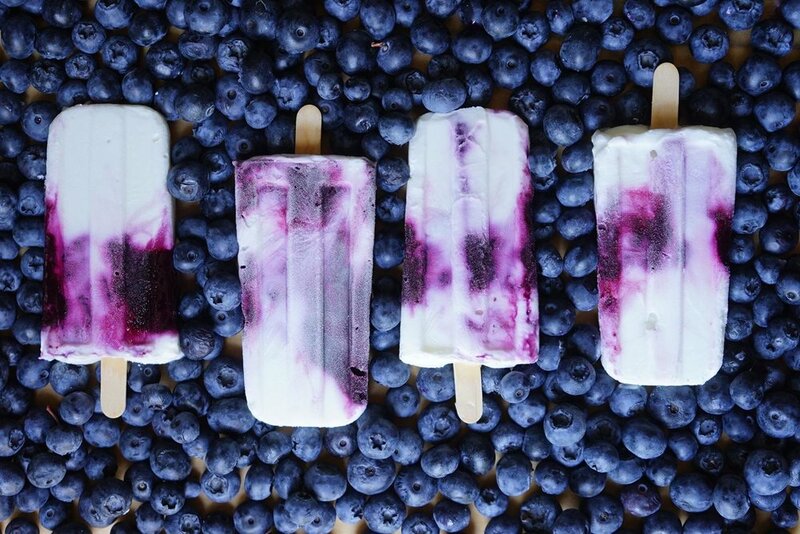 Blueberry Coconut Greek Yogurt Popsicles are made with fresh blueberries and coconut milk. They are a complete grab-and-go breakfast that will keep you cool this summer. These blueberry-coconut Greek yogurt popsicles are a delicious way to cool down this summer. The base of these popsicles is protein-rich FAGE Total Greek yogurt. The added coconut milk gives them a creamy texture with a bright coconut flavor. 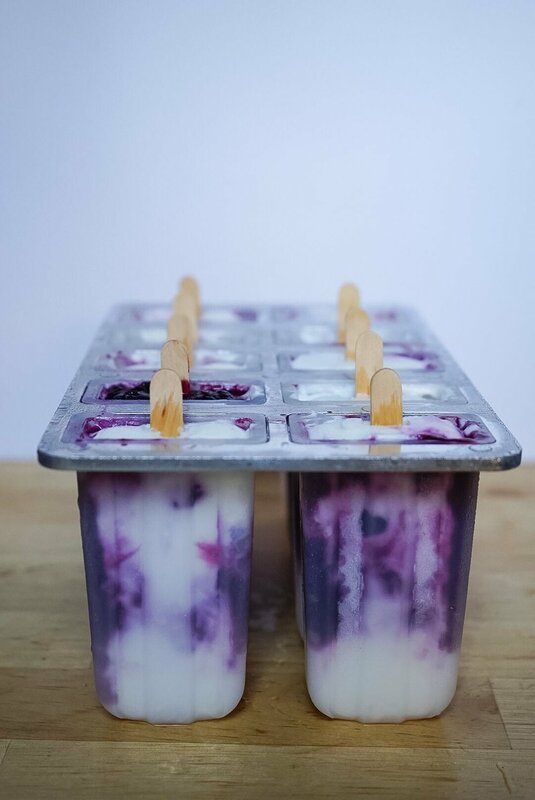 These popsicles are layered with antioxidant-packed blueberries, making them an all-around complete grab-and-go breakfast. However, these popsicles are so delicious that you will want to enjoy them any time of day! You can use any sweetener you like--sugar, honey, agave--or no sweetener at all. Be sure to taste as you go along. The recipe below is on the tart side since that’s how I like to enjoy my yogurt! Plus, the fat from the coconut milk balances out the flavor and will help keep you satisfied longer. You will want to make these Blueberry Coconut Greek Yogurt Popsicles again and again! The great thing about the FAGE Total Plain is that there are no additives, preservatives, or sugar that doesn’t occur naturally from the milk that’s used. That way, I can control how much sugar (if any!) I want to add. Plus, two simple ingredients--coconut milk and fresh blueberries--give these popsicles so much natural flavor. You will want to make these popsicles again and again! 1. In a large bowl, combine the Greek yogurt with one cup of coconut milk and two tablespoons of sugar. Stir vigorously until you have a smooth consistency. Taste and add more sweetener if desired. Set aside. 2. Make the blueberry sauce by combining the 2 cups fresh blueberries with the remaining 2 tablespoons of granulated sugar in a small pot. Place over medium heat and cook until the blueberries start to break down. Stir and continue cooking until it reaches a jam-like consistency. You can use the back of a wooden spoon or a fruit masher to mash the berries. Once the jam-like consistency is reached, remove the blueberry sauce from the heat. 3. 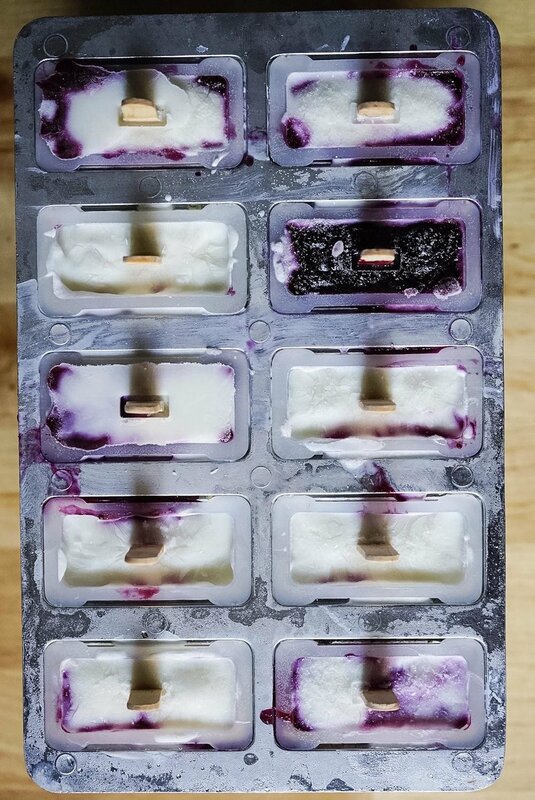 Place a tablespoon of the yogurt mixture in each popsicle mold. Add a tablespoon of blueberry sauce. Top with another tablespoon of the yogurt. Continue alternating until the popsicle mold is nearly full. Place the top on the mold and add the popsicle sticks. Freeze for six hours. 4. Once the popsicles are completely frozen, place the mold under running water so that they will loosen. Remove the popsicles and enjoy immediately, or place in the freezer in an air-tight container with parchment paper dividing each row of popsicles. These are an easy grab-and-go breakfast for summer, or a cool treat for any time of day. This post has been generously sponsored by FAGE Greek Yogurt. Heirloom Tomato Tart: surprisingly easy to an absolutely scrumptious! This undeniably delicious yet easy heirloom tomato tart is one of the first recipes I shared on my first food blog over eight years ago. After making this tart again today, I was reminded of why I love it so much (and also, why I love baking!) But, don't feel like you have to stick to the recipe. 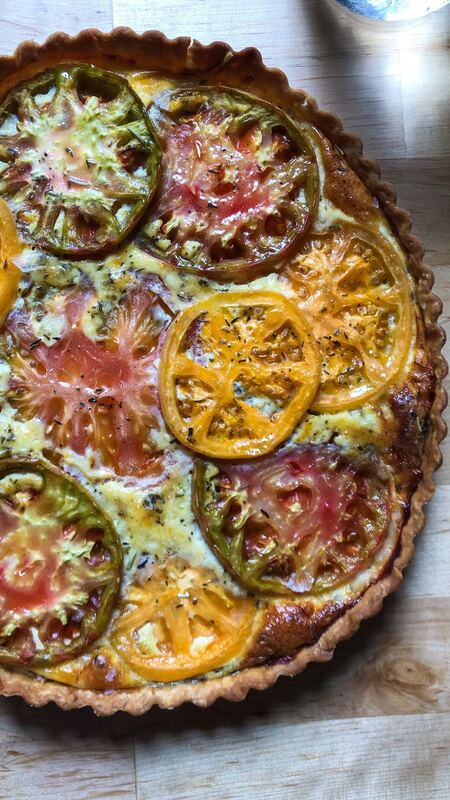 The recipe below is for a "Summer in Provence" version of a tomato tart, as it features some French favorites: Gruyere cheese, herbs de Provence and Dijon mustard. Feel free to substitute any of these. Sharp cheddar can be used instead of Gruyere; dried or fresh oregano or basil for the herbs de Provence, and any type of mustard can be used. Why "heirloom tomatoes" you may ask? They have more flavor! 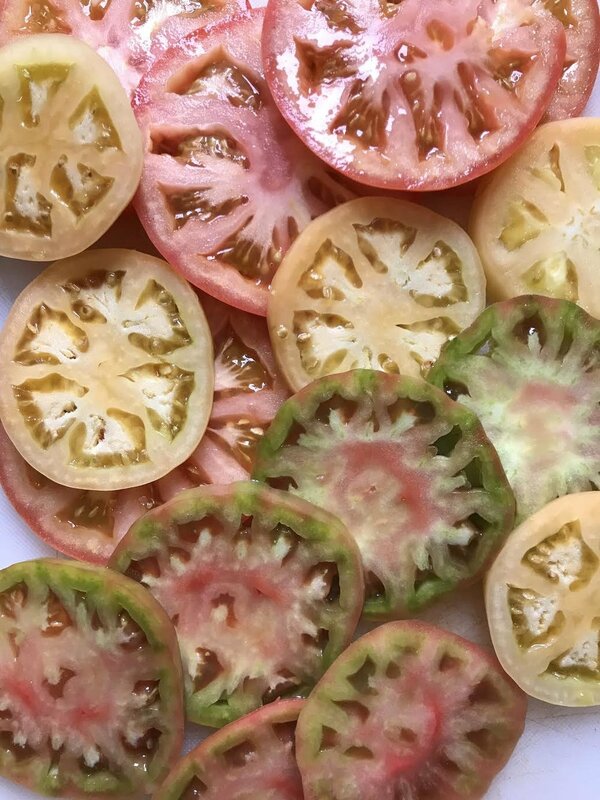 But you can definitely swap them out for regular tomatoes so that you can enjoy this tart all year long-- even after the heirloom tomatoes' very short season is over. Heirloom tomatoes: I made this savory tart with heirloom tomatoes, but pretty much any medium-large variety of tomatoes will do. Once the crust is par-baked, it's smooth sailing. I smeared Dijon mustard along the bottom, sprinkled Gruyere cheese and dried herbs de Provence, then topped that with my eggs and cream whisked together. Lastly, I lined tomato slices on tops. Some overlapped-- some didn't. It was fine either way! I baked it at 375 F until the filling had completely set--it didn't wobble at all was browned in some areas. I let it cool on a cooling rack before cutting it, which made for a clean cut. It was so good that I nearly ate half the tart! *If you use a pie pan or ready-made pie crust, which is deeper than a tart pan, you will need to increase the quantity of the custard (the eggs + heavy cream), and the bake time (longer bake time will be needed). Preheat oven to 375 F. Put the tomato slices in a colander, and place it in the sink. Let the tomatoes sit for 15 minutes to drain off any excess liquid. Spread the mustard evenly over the par-baked tart shell. Sprinkle the grated cheese over the mustard, and sprinkle the dried herbs over the cheese. Whisk the eggs in a small bowl, or a large measuring cup with a spout, to break up the yolks. Whisk in the cream, salt, and pepper. This is your custard. Pour the custard evenly over the bottom of the tart crust. You may have to swish it around to get it to cover the bottom. Working from the outside in, lay the drained tomato slices in slightly overlapping concentric circles, making sure the tart is covered in tomato slices. Place the tart on the center rack in the oven, and bake at 375 F until the custard is set, about 35-40 minutes. (Set custard won't jiggle when you shake the pan and will be firm when you touch it). The tomatoes in this tart may give off a hot liquid--don't confuse this with uncooked eggs and overcook your tart. The liquid will evaporate as the tart cools. Remove the tart from the oven and set it on a wire rack. Allow the tart to cool slightly before serving. You can enjoy this tart warm or at room temperature. Serving suggestion: Serve this tart alongside a simple arugula salad with a homemade vinaigrette.